A new coin series of five colorful bird coins titled Birds Among Nature’s Colours is the 2017 edition of bird coins by the Royal Canadian Mint. These coins are available as a subscription, and will be issued monthly beginning in March, 2017. The final coin will be issued in July, 2017. 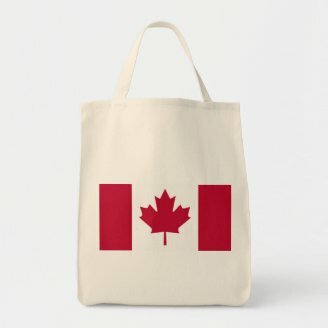 The year 2017 is being celebrated in Canada with an abundance of coin releases, since Canada is currently celebrating the 150th anniversary of the Confederation. The Birds Among Nature’s Colours series is perhaps the set of the most beautiful of the 2017 coins. Of course that is subjective, but for beauty these coins will be difficult to beat. These coins differ from other bird themed coins in that the bird is uncolored, and the field and many other components of the coin are vibrantly colored. Each coin is minted in 0.9999 fine silver, making the image of the bird spectacular against the background. The series starts with the March issue, the Chickadee. For this coin the chickadee is depicted in silver and is contrasted by a brilliant blue sky and red flowers. The April issue is the Northern Flicker, which features the uncolored bird and tree trunk contrasted by a green field and colorful flowering foliage. The May release is to be the Titmouse, a coin showing a pair of birds perched on the brown trunk of a tree, and green leaves. The field is blue, but a different shade than used with the chickadee. For June the coin is the Purple Martin, with the bird resting on a flowering branch of purple and golden flowers. The field is purple, suggesting the bird’s name. Finally, for July comes the Nuthatch, with the bird on a pine branch above a pine cone. The field and pine branch are green, and the pine cone is brown. For those taking the subscription through the mint, the first coin is accompanied by a case that serves as a place to keep your coins, and plays a bird’s song when opened. While it may be possible to find these coins online, the subscription is the best method for acquiring the entire set, and assuring the inclusion of the special box for storage. The subscriotion is available at the Royal Canadian Mint. Mintage for each coin is 15,000, and the coins are one-half ounce of fine silver. The Royal Canadian Mint currently uses 0.9999 purity for its fine silver coins. These coins are minted with a proof finish. Each coin is accompanied by a serialized certificate of authenticity from the Royal Canadian Mint. The denomination of each coin is ten dollars Canadian. 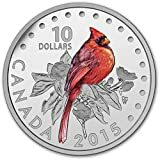 Ordering from the Royal Canadian Mint is easy, and the shipping is currently being advertised as free for orders over one hundred dollars Canadian, which is less in the United States dollars. I believe this is for Canadian and United States addresses only. However, the Royal Canadian Mint recently added collection of state taxes for United States locations, and there may be a small money conversion fee on your card. A previous issue of colorizes coins was the Songbirds of Canada series, another short series of fine silver coins. The difference in the Birds Among Nature’s Colours series and the Songbirds of Canada series is that in the past series the birds were colored, not the field. 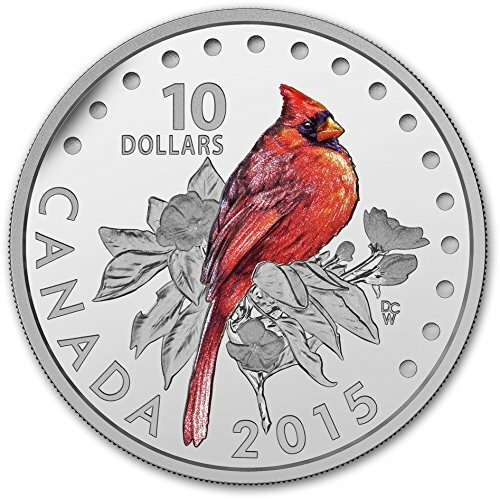 Prior to the Songbirds of Canada series there was a series of colored birds on oversized quarters. Some of the earlier colored quarters have become quite valuable but later issues have not become valuable pieces yet. The quarters are base metal coins, which does not give them the inherent value of silver. One thing to note here is there was a short break in the series, and the first quarters issued were minted with a different metallic composition. These coins are also one-half ounce fine silver each. The coins in this series include the Northern Cardinal, the Magnolia Warbler, the Blue Jay, the Baltimore Oriole, and the Violet-Green Swallow. One way to display your coins is to set them out on an acrylic easel. These can then be set on a shelf or on a table. They can be covered, or not, depending on taste and the need to have physical protection against theft. Having colorful bird coins on display might especially appeal to birders. You can find shelves at Kmart. Images are allowed by the respective affiliate programs. 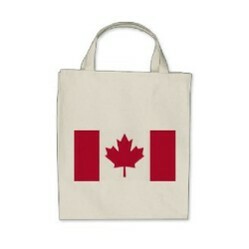 The introduction image is one of our Zazzle products, and the art is from a public domain image found at W P Clipart. Actually, we have only a few in a bank box. They are too expensive for me, but I have a small amount to sel on Ebay. They are also at the bank. I do subscribe to the mints, so I get information on coins. I think some of the Beatrix Potter speciality coins may have been coloured. BSG- your collection must be a wonderful thing to behold. As far as I know, the Royal Mint does not color coins. Nor does the U. S. Canada, New Zealand, Poland, and Australia color numerous coins. Normally, they are not intended for circulation. I don't think that we have ever had coloured coins. This is very interesting. I wonder if UK has coloured coins. Birds are a lovely idea. Thank you for posting this.